Becket’s life story has been often told but never so incisively reexamined and vividly rendered as it is in John Guy’s hands. The son of middle-class Norman parents, Becket rose against all odds to become the second most powerful man in England. As King Henry II’s chancellor, Becket charmed potentates and popes, tamed overmighty barons, and even personally led knights into battle. After his royal patron elevated him to archbishop of Canterbury in 1162, however, Becket clashed with the King. Forced to choose between fealty to the crown and the values of his faith, he repeatedly challenged Henry’s authority to bring the church to heel. Drawing on the full panoply of medieval sources, Guy sheds new light on the relationship between the two men, separates truth from centuries of mythmaking, and casts doubt on the long-held assumption that the headstrong rivals were once close friends. 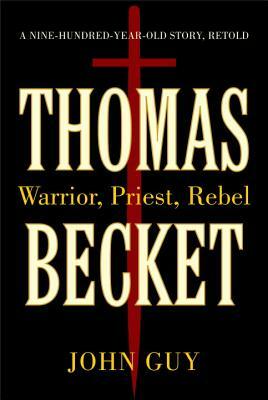 He also provides the fullest accounting yet for Becket’s seemingly radical transformation from worldly bureaucrat to devout man of God. John Guy studied history at Clare College, Cambridge, and became a lecturer on early modern British history and Renaissance political thought. He has held academic positions in Britain and the United States throughout his career and is still a Fellow in history at Clare College, Cambridge, and teaches on the Yale in London program at the Paul Mellon Centre for Studies in British Art. He appears regularly on BBC Radio and has presented five documentaries for BBC2 television. He also writes and reviews for various newspapers and magazines, including "The Sunday Times, The Guardian, "and "The Economist."